Taysom Hill does it all. The Saints have a bona fide Hall of Fame quarterback in Drew Brees. 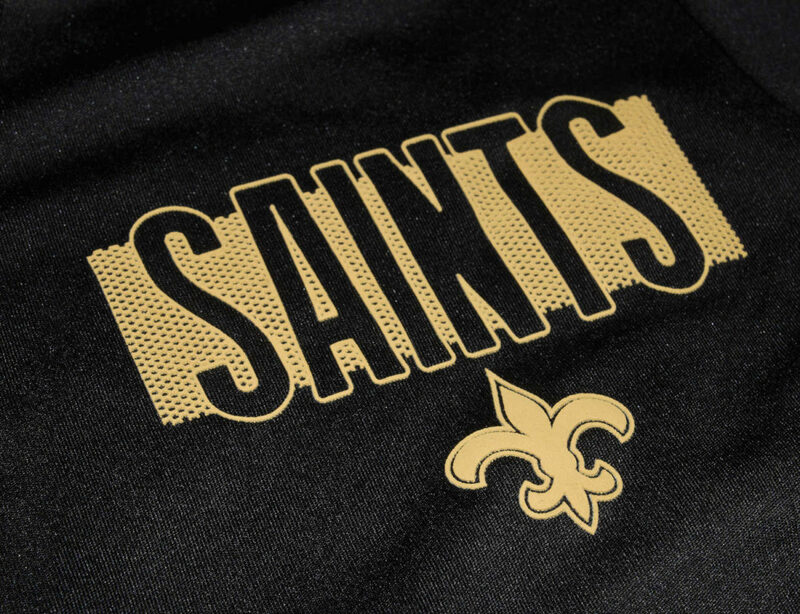 He’s Johnny Unitas, Dan Marino, Bart Starr and Joe Montana all rolled into one for the New Orleans Saints’ faithful. Every pass, every handoff, every snap is a snapshot in time, a chance to revel in watching one of the all-time greats. But here in the last season of this warrior’s long golden winter, something strange and unexpected has arisen: Occasionally, he is substituted for. Through the first 10 weeks of the season, the Saints inserted third-string quarterback Taysom Hill at quarterback 35 times, leaving defenses with little to no time to adjust personnel, and, on the whole, befuddled. On almost every one of those snaps, Brees did not leave the field but instead split out at wide receiver. In what could have future implications for the Saints in future years and perhaps for the NFL as a whole, perhaps when he has a role as a starter in New Orleans or elsewhere in the league, Hill’s usage so far this year, through nine games, was of a sort not seen in the league for many decades (perhaps since Paul Hornung). It included the following: 35 snaps at quarterback, all over Saints all-time great Brees; 26 snaps at wide receiver (including 10 in the slot); 45 snaps at tight end; and seven snaps at halfback and fullback. All told that amounted to 113 snaps on offense in addition to 202 snaps on special teams. In the course of his 113 snaps, Hill generated 35 opportunities, including pass attempts, rushing attempts and receiving targets, for 212 yards and one touchdown. He also led the team in kickoff returns with 11 total for 269 yards, a healthy 24.5 yards per return and a long of 47 yards. Thanks to head coach Sean Payton’s Morgus-like imagination, Hill’s multi-role usage could become a factor in the NFL. During two games, in Baltimore and then in Cincinnati, opposing coaches brought in their own backup quarterback to run some variation of Hill’s run-pass option style formation, with the starting quarterback split out wide versus the Saints. In a league in which running back by committee gradually became a common fact of NFL offenses during the last decade, this concept could catch on, though it may ultimately lessen the value of starting star quarterbacks generally, much as what occurred at the running back position. Perhaps not in this 2018 season, but given the nature of the oft-copycat NFL after an offseason of study by opposing offensive coordinators and head coaches, it may very well be a trend — one that started in New Orleans. Just as important were the 78 offensive snaps on which Hill did not touch the ball. On a team already featuring Brees, Alvin Kamara, Mark Ingram, Michael Thomas, Tre’Quan Smith and Benjamin Watson, Hill has added a different element and flair to the offense that has made it even more difficult to defend. At a minimum, a defense shifting a cornerback simply to cover Brees at wide receiver, leaving a stilted extra man advantage on the rest of the field where the quarterback, Hill, is a runner with a near six-yard per carry rushing average, is a feat in itself. As Payton has explained, “When the quarterback takes the snap and the quarterback is handing the ball off, it’s 10 versus 11. When the quarterback takes the snap and is handing it or keeping it, it’s back to 11. So what you can do, you can literally not block a defensive end and let the quarterback just decide.” To that end, of Hill’s 35 snaps at quarterback, 24 have been on third down, fourth down or in the red zone, maximizing the pressure that Hill places on the defense. It’s Hill’s ability to carry the ball with success that makes defenders pause, while they wait to see who has the ball. This can result in big gains for Hill himself as he rushes past the frozen attackers, or for running backs, Kamara or Ingram, to whom he hands the ball off to the same effect. Hill’s existence as a special role player with a background as a traditional quarterback, but who also has the toughness to do the sorts of things that a halfback would do — the athleticism to be able to block, to line up as a receiver or as a runner, to catch the ball, to plunge off tackle or to take jet sweeps — is a nightmare for defensive coordinators and middle linebackers. Though Hill has only thrown the ball four times this season, both his completions were impressive. One was a game-breaking deep pass to Michael Thomas in the Saints’ crucial win against the Minnesota Vikings earlier this year. Hill’s presence, which forced the entire defense to creep up to the Saints’ line, ensured that Thomas was able to get single coverage on the opposing safety, resulting in a 44-yard gain, which was also the team’s longest gain strictly by air yards all year. In the other completion, Hill, playing fullback on a punt against the New York Giants, took a risky diagonal snap and quickly tossed the ball out to Justin Hardee for an important first down, giving the Saints early momentum on the way to a win. There may not be another player in the NFL who can both protect on a punt and also throw a pass in the NFL. Hill’s quarterback background and offensive skillset match up perfectly with Payton, that rare, special coach who is able to envision a designed role for him and how it can put pressure on defenses. Hill has not only found a home in New Orleans, but, with Payton and Brees, he may just end up changing the face of the NFL.